by Dr. Mercola — Aluminum has been long known to be neurotoxic, with mounting evidence that chronic exposure is a factor in many neurological diseases, including dementia, autism, and Parkinson's disease. Case in point: a new case study from Keele University in the UK unequivocally shows high levels of aluminum in the brain of an individual exposed to aluminum at work, who later died from Alzheimer's disease. This is not the first time high aluminum levels have been found in the tissues of someone who died from Alzheimer’s disease. For example, in 2004, high aluminum levels were found in the tissues of a British woman who died of early-onset Alzheimer's. Rain washes aluminum particles out of the air and into our water supply, where they tend to accumulate rather than degrade. If you live in an industrial area, your exposure is undoubtedly higher than average. If you cook your food in aluminum foil, you are introducing your own contamination. 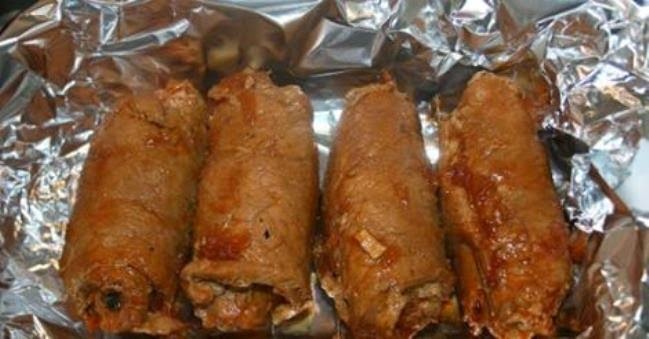 One investigation found that cooking meats in aluminum foil increases their aluminum concentration. Researchers concluded, “eating meals prepared in aluminum foil may carry a health risk by adding to other aluminum sources.” As with many toxins, it isn't one exposure here and there that is so concerning—it's the cumulative effect of many smaller exposures over time that can lead to a toxic metal overload and erosion of your health. In the video above, Dr. David Ayoub discusses how the aluminum in vaccines may be even more dangerous than mercury. The number of aluminum-containing vaccines children receive today has quadrupled over the past 30 years. In the 1970s, children got only four aluminum-containing vaccines in their first 18 months of life, but now they typically receive 17. And as children's aluminum burden has increased, so has the prevalence of childhood neurological disorders. In one school, 90 percent of the children developed ADHD during the course of a single school year, and their toxicity profiles all revealed massive amounts of aluminum. Aluminum is also in vaccines and is used as an adjuvant. If you go by the aluminum content on vaccine labels, the amount kids are getting is excessive, but if you add in the aluminum NOT listed on the labels—”accidental exposure” due to contamination—it's a much more serious problem. Dr. Ayoub cites one study that found five to six times more aluminum in vaccines than what was actually listed on the labels. When you review the signs and symptoms of aluminum toxicity, they are shockingly similar to the symptoms of autism, ADHD, Alzheimer's, Parkinson's, and other neurological diseases. Vaccine adjuvants can cause serious chronic brain inflammation. Aluminum targets your cerebellum and autonomic nervous system—the part responsible for biological processes over which you have no conscious control (breathing, blood pressure, balance, coordination, etc.). When you look at the MSDS sheet for aluminum, you will see symptoms strikingly similar to those in common neurological diseases, including memory problems, speech impairments and aphasia, dementia, depression, muscle weakness, motor disturbances, and other neurological difficulties. The list goes on and on. There has never been a way to accurately predict who will get Alzheimer's, but that may be changing. Researchers at Georgetown University and University of Rochester claim they have found a blood test that predicts this with 90 percent accuracy—and incredibly, with NO false negatives. If further research confirms what researchers expect, this is a medical breakthrough of epic proportions. The test involves measuring the patterns of 10 specific lipids (fat-like compounds) associated with the plaques found in the brains of people with Alzheimer's disease. These 10 lipids are highly predictive of whether or not you will become cognitively impaired. All of the people in the study were in their 70s, so the next step is to determine if the test is accurate earlier, say in your 40s and 50s. Researchers say they are still several years away from implementing the test, but they all feel very hopeful. Biomarkers such as lipids are tricky for Alzheimer's because they change during the course of the illness. Some occur in high levels during the early phase of the disease and then actually decrease after symptoms appear—so they are stage dependent. There is clearly much more research that needs to be done before we have a grasp of this disease. Even with a test that can predict whether or not you are in the process of developing dementia, there are no good treatments once you have it—so you should be doing everything in your power to prevent it. One of the strategies is helping your body detoxify from metals, such as aluminum. Removing mercury from vaccines and replacing it with aluminum may be increasing the problems from BOTH toxins in your body. The reason for this is because aluminum impairs your body's ability to excrete mercury by impeding your glutathione production. Glutathione is your most important intracellular detoxifier, required for reversing oxidative stress. So, if your aluminum load is high, your body will potentially become more toxic from the mercury from, say, flu shots and fish because you are now on “aluminum overload” and your detoxification system no longer functions well. Please note that if you avoid consuming animal proteins, it is VERY easy to become sulfur deficient, and this may be one of the most significant risk factors for choosing an animal protein-free diet. That doesn't mean you should go overboard on meat, however! Most people need only about one gram of protein per kilogram of lean body weight, or about half a gram of protein per pound of lean body mass. Also make sure to buy grass-fed and finished meats, as most factory farmed meat is of inferior quality and contaminated with a whole host of veterinary drugs, including antibiotics and growth hormones. There are a number of potent chelators you can use to detoxify aluminum. Clearly, your first step would be to avoid further exposure to aluminum. Melatonin: Research [source, source, source] shows that melatonin has a metal binding role and is a useful supplement in the treatment of neurological disorders in which oxidative stress is involved, which includes Alzheimer's. Melatonin can travel freely across all cellular barriers, facilitating the removal of toxic metals such as aluminum. It also appears to suppress the oxidative activity of aluminum in your brain. Curcumin: Research suggests that curcumin has a protective effect against aluminum-induced damage by modulating the extent of oxidative stress. It also decreases beta-amyloid plaques associated with Alzheimer's, delays neuron degradation, chelates metals, decreases microglia formation, and has an overall anti-inflammatory, antioxidant effect. Studies have shown that curcumin can help improve memory in Alzheimer's patients. There are some contraindications that curcumin is not recommended if you have biliary tract obstruction (as it stimulates bile secretion), gallstones, obstructive jaundice, or acute biliary colic. It can no longer be argued that aluminum does not have a role in neurodegenerative diseases like Alzheimer's—the evidence is very clear and growing. It really should not be surprising that people with aluminum toxicity display many of the same symptoms as those with dementia, Parkinson's, ADHD, autism, and other neurological diseases, because aluminum targets exactly these areas of your brain and nervous system. Optimizing your dietary sulfur is also essential, as your body needs sulfur to manufacture its number one weapon against aluminum overload: glutathione. By taking a few steps to protect yourself, you'll minimize your exposure while maximizing your body's ability to rid itself of this toxic metal, which will move you toward a long and healthy life well into your senior years. NOTE: The full length film at the top of this report can be purchased on DVD or online streaming by following this link.